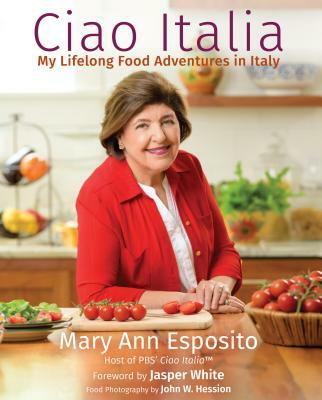 "Ciao Italia: My Lifelong Food Adventures in Italy, is a capstone of Esposito’s career. 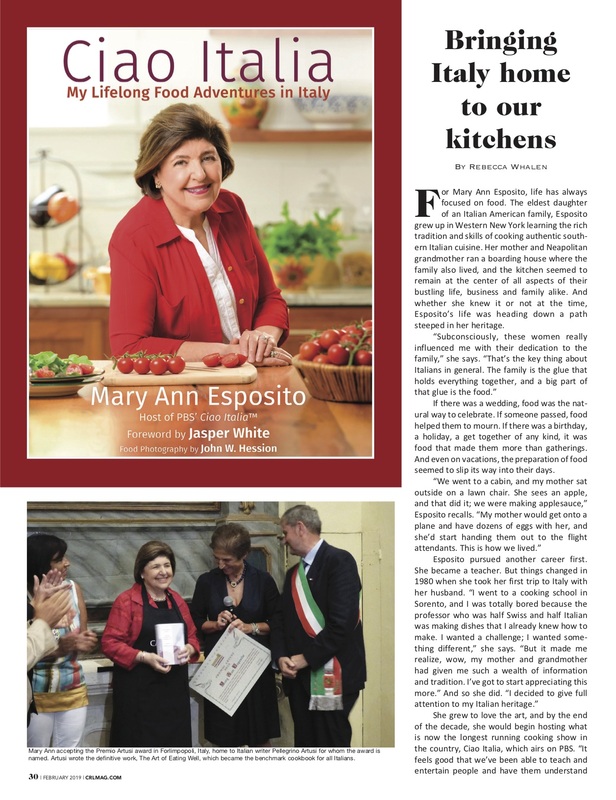 “I included very regional recipes, but gave you a tour of Italy as well,” she says. “I filled it with over 150 regional recipes that tell you why this recipe is called this, what the folklore is, and the scenes you see. It encap‐ sulates 30 years of going back and forth to Italy, from the top of the boot to the bottom.” This book seems different than her oth‐ ers. 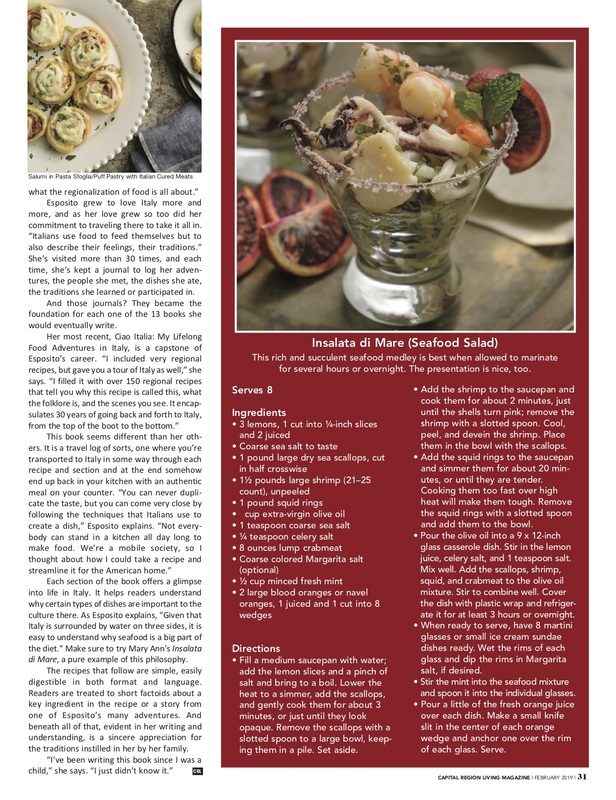 It is a travel log of sorts, one where you’re transported to Italy in some way through each recipe and section and at the end somehow end up back in your kitchen with an authentic meal on your counter...The recipes that follow are simple, easily digestible in both format and language. Readers are treated to short factoids about a key ingredient in the recipe or a story from one of Esposito’s many adventures. And beneath all of that, evident in her writing and understanding, is a sincere appreciation for the traditions instilled in her by her family."